The Competition Among Google, Amazon, Facebook And Apple Facebook, Google, Amazon and Apple are expanding rapidly into finance, advertising, media and retail. Tech writer Farhad Manjoo outlines how the four companies are heading in new directions — and encroaching on each other's territory — as they try to expand their customer base. "We see them getting into the media business, TV, movies, books — but we also see them getting into the banking industry ... becoming part of the communications infrastructure ... and part of [other] transactions," says tech writer Farhad Manjoo. "They're branching out into all kinds of products that aren't only aimed at each other ... but in many ways, these four companies are trying to disrupt every other business in the economy." Manjoo's recent piece in Fast Company outlines how Apple, Google, Amazon and Facebook are competing with each other — and other companies — in markets for mobile phones, apps, social networking, retailing, advertising, finance and more. On Thursday's Fresh Air, Manjoo explains how the four giants are heading in new directions — and encroaching on each other's territory — as they each try to expand their customer base. "They're making bigger changes to our daily lives, and they are affecting more parts of the economy than something as huge as the oil industry," he says. "It's an exciting time to be watching the industry. ... We're in a moment of transition, and it will change in a big way over the next two years, which is exciting — but it will also affect our lives in ways we haven't seen." Manjoo is a staff writer for Slate. He has also written for Fast Company and Wired News. He is the author of True Enough: Learning to Live in a Post-Fact Society. 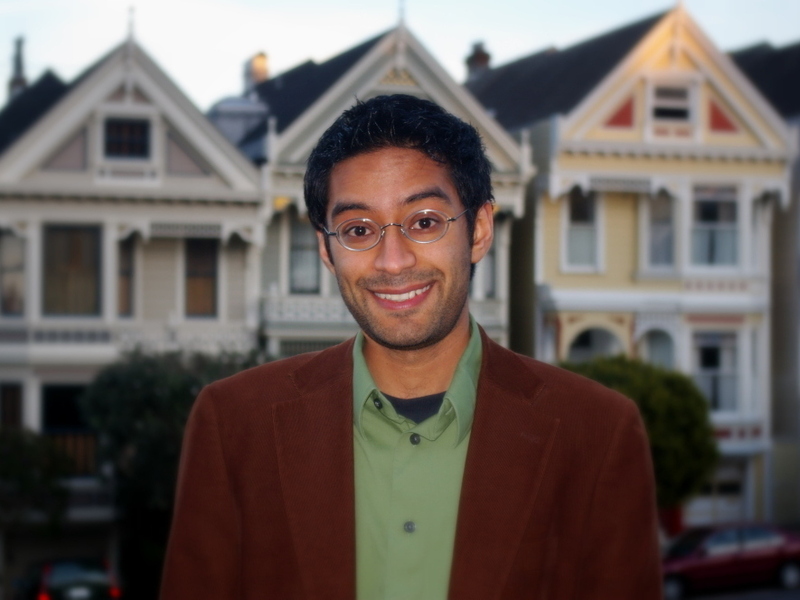 Farhad Manjoo is the technology columnist for Slate. "Because these [mobile] devices are tied to an individual, whatever you do on those devices sends back data. All of that data is being collected, and in various ways is being mined and analyzed to try to figure out who you are and what you want. Some of this is somewhat sinister. They're trying to create a better profile of you to create better ads, to create ads that are targeted to you so you'll buy stuff. Other uses of this data are less sinister, and you might even think of it as beneficial. One of the technologies that Google [uses is an] anonymous tracker [that tracks] where its Android phones go. ... Google can collect all of that information from all the Android phones, and it can create a very accurate representation of traffic patterns in a city. If I tell you, 'Google is tracking where you go,' that might sound very bad and you might not want them to know where you're going.' But if I tell you they're tracking everyone and you can go to work 20 minutes faster because you saw a traffic jam on your phone, you might be more amenable to that." "They're trying to create a device that sells as well as the iPad and can prove to be a very popular rival to the iPad. But the thing they have done that is very smart is that they've made their device less powerful on purpose. So the Kindle Fire is smaller than the iPad and cheaper, and it is very intimately tied to Amazon's Web store. They don't want to make money from the device. They're selling it, from what we know, for no profit at all. But they want you to buy a lot of stuff from their store." "Beyond search, it has an email service. Google has various online stores — a bookstore, a new music service. The big thing recently, it has created this very successful mobile operating system called Android, which has become a big competitor to the iPhone. And then it's doing some very far-out things. Right by my house, I see Google self-driving cars driving around. And so they're working on things that might be ready in the far future and also things that are going to be ready next year — the breadth of their innovation is pretty amazing." Can The iPad Or The Kindle Save Book Publishers? "The big new advertising company is Facebook. Facebook runs ads that are known as display ads, which are graphical ads you see on the Internet. ... Lots and lots of people use Facebook. It is closing in on a billion people around the world who use Facebook. So Google wants to have a rival to Facebook, and that's what the aim of Google+ is — to get lots of people using Google+ instead of Facebook, and to get some of that advertising business." "Everyone around the Web has seen the 'like' buttons from Facebook. And Facebook is collecting all of that information. They're also collecting information about the way you interact with your friends — stuff you share with them, stuff they click on, who comments on what. It has all of this data, and because it has all that data, it becomes a very valuable advertising company, but it can also move into other areas of the tech business. They've added an app for iPhone and Android phones that allows customers to text-message with each other and bypass the cellphone text-messaging system. And they'll create a lot more of those kinds of apps in the future." "Two spaces is wrong. ... The reason two spaces were put into practice was because of the manual typewriter. And there was a type of font on the manual typewriter called 'monospace font,' which means the space between every letter was the same, and the width of every letter was the same. So in that type of font, it looked slightly more readable to have two spaces between sentences than it did to have one space. But when we switched to computers, we went back to using the kinds of fonts called proportional fonts. With proportional fonts, every letter has a different width that corresponds to what it is used for. Because every letter has a different width, the space after a period has its appropriate width when you use just one [space after a period]. So that's how many you use. ... The two-space rule is really a holdover from typewriters. The reason you were taught it in school was because your teachers learned to type on typewriters, but we no longer type on typewriters."